Adjusting to FROM Software's newest game, Sekiro: Shadows Die Twice has been a very mixed bag. I'm handling most of the stealth just fine (coming from a background of lots of Metal Gear Solid), but I've been having a tough time with the game's very-demanding combat. 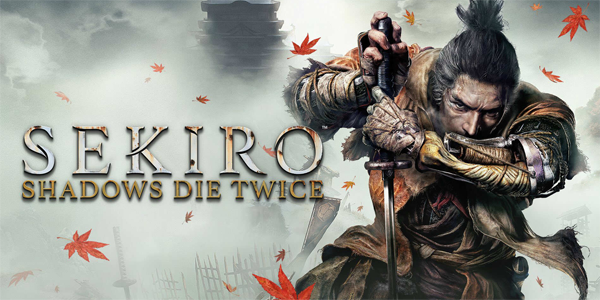 This game is much further divorced from the Souls games than even Bloodborne was -- so much so, that I'm not sure if it's fair to lump Sekiro in as a "Souls-Borne" or "Souls-like" game. Honestly, I was never much of a parry-er in the Souls games anyway, so I'm having a harder time adjusting to Sekiro than many other Souls veterans might. 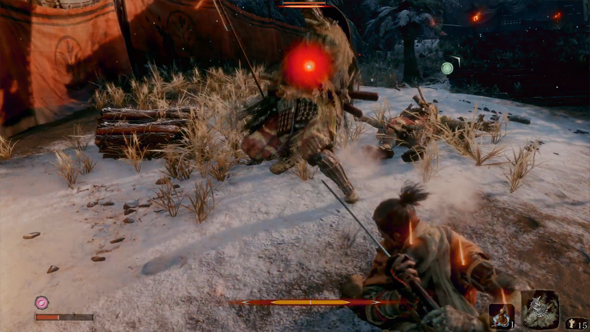 Sekiro is all parry, all the time! Even a week later, I'm not very far into the game. I've cleared the Ashina Outskirts, Ashina Castle Gate, and a large chunk of the Hirata Estate. I've only beat [I think] two legit bosses, a couple mini-bosses, and have challenged (but yet to defeat) a third boss. These bosses have been tough -- perhaps tougher than any early-game bosses in any of the Souls games or Bloodborne. A big part of this difficulty is that Sekiro very deliberately, and very explicitly, has removed many of the crutches that Souls players have enjoyed since Demon's Souls: you can't summon help, nor can you grind to level up your character. You can acquire new skills, but you can't upgrade your attack power or vitality by simply farming grunt enemies as you could in FROM's earlier games. If you weren't much of a parry-er in Souls games, you may find it difficult to adjust to Sekiro. This creates a much higher bar of entry than FROM's earlier games. Perhaps too high? In any case, don't expect a full review from me any time soon. I'll be tanking the rakes for weeks -- if not months. The Blazing Bull can be parried! In the meantime, however, I want to share some important observations that I had about one particular boss in the early levels of Sekiro: the Blazing Bull. 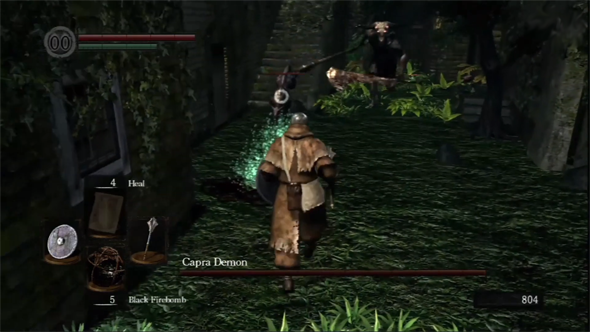 All of the bosses that I've encountered in the game so far have felt like entering the Capra Demon arena in the first Dark Souls -- but none of them have channeled the cheapness of the Capra Demon quite like the Blazing Bull. Many early bosses -- the Blazing Bull in particular -- feel like walking into the Capra Demon arena. This giant, flaming beast essentially ambushes you. It's exceedingly aggressive and almost impossible to dodge. It's very easy to feel overwhelmed. I certainly did.